Most of us have probably been there. Shopping in Target with kids and the consistent nagging for one more “thing” that we know will just end up on the floor of their room and eventually tossed away. Well rather than giving in, Sara Bernstein decided to tell her son that he could earn his own money if he wanted to buy something. And while most of us grew up earning money from chores, that just didn’t seem to cut it for Sara’s son, so they brainstormed other ways to earn money. After coming up with a plan to learn how to make candles, Sara began to look for where to sell the candles and couldn’t come up with a perfect solution. That is until she came across information about Acton Children’s Business Fair, the largest entrepreneurship event for kids in North America. 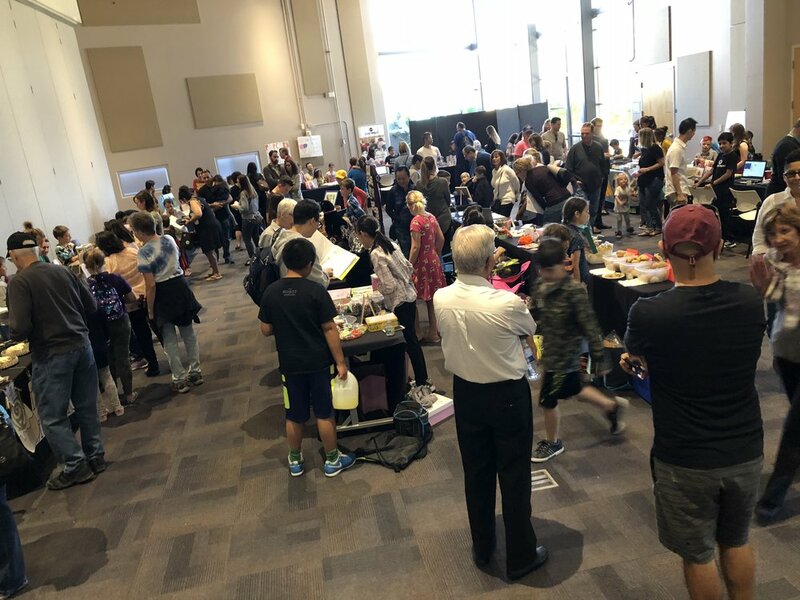 While there wasn’t a current location set up for Scottsdale, Sara, who owns Storybook Entertainment, decided to help bring this one-day market to Scottsdale, and hosted the first Scottsdale Children’s Business Fair last November. Children between the ages of 6 and 16 applied to be a vendor at the fair and about 350 people came through to purchase products from these budding entrepreneurs. The fair provides the opportunity for children to launch their very own startup business. They develop the brand, create the product or service, build a marketing strategy and open for customers during this one-day marketplace. The second event will be held later this month on April 27, 2019, from 10 a.m. – 1 p.m. at the Ina Levine JCC in Scottsdale. Guests can find vendors selling everything from food and crafts to services like dog walking or video and coding services. And at the end of the day, local business owners will decide on the most creative product and most knowledgeable business owner in two age categories. And she hopes that these fairs and the experience it gives the children allows them to keep trying something, work on problem solving and ultimately be proud of the work they put in. So if you are in the area and want to help support these local entrepreneurs, stop by the fair on the 27th. It will be a fun morning for all, and who knows, maybe it’ll even create a spark of inspiration for yourself for your own kiddo! Click here to find out more about the upcoming Scottsdale Children’s Business Fair on April 27!